After her debut at Prague Spring Competition she became very popular. She had one-year internship at Conservatoire Supérieur in Paris. During her concert career she has recorded 14 CDs, she has cooperated with a violinist Josef Suk, conductor Jiří Bělohlávek, Bennewitz Quartet, Smetana’s Trio, a harphist Jana Boušková and Prague Philharmonia. 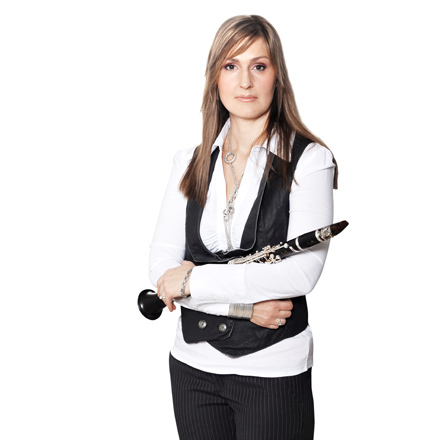 Since the establishment of Prague Philharmonia she worked there as a solo-clarinettist, after that she focused on teaching at Prague Conservatory and her solo career. She also appeared in many TV programs, at awarding of Trebbia Prize and Open Air concert of Czech Philharmony with Jiří Bělohlávek. As a moderator she participated at TV recordings of concerts of the Musical Festival Dvořák’s Prague. She also participated in TV program Terra Musica and ExpoHlednice. She also played a small role in a TV series of „Hop or trop“. Bennenitz’s Quartet was established in 1998. 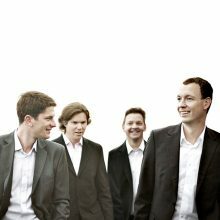 In 2004 the Quartet was awarded a prize of Czech Association for Chamber Music. In 2002-2004, the Quartet was engaged as a „Quartet in Residence“ in Basel and was in charge of a course of string quartets. Internationally, the Quartet is considered to be a top-quality chamber ensemble and it is supported not only by its success in two prestigious competitons – in Osaka in 2005 and Prémio Paolo Borciani in Italy in 2008, but also by positive feedback received by music critics. Currently, the Quartet plays at leading Czech and foreign stages (Wigmore Hall London, Musikverein Wien, Konzerhaus Berlin, Concertgebouw Amsterdam, Théâtre des Champs-Elysées in Paris, The Frick Collection New York, Seoul Art Center, Dai-Ichi-Seimei Hall Tokyo, Rudolfinum) and is regularly invited to perform at festivals in Salzburger Festspiele, Luzerne Festival, Rheingau Musik Festival, Kammermusikfest Lockenhaus, Prague Spring and Dvořák’s Prague Festival.